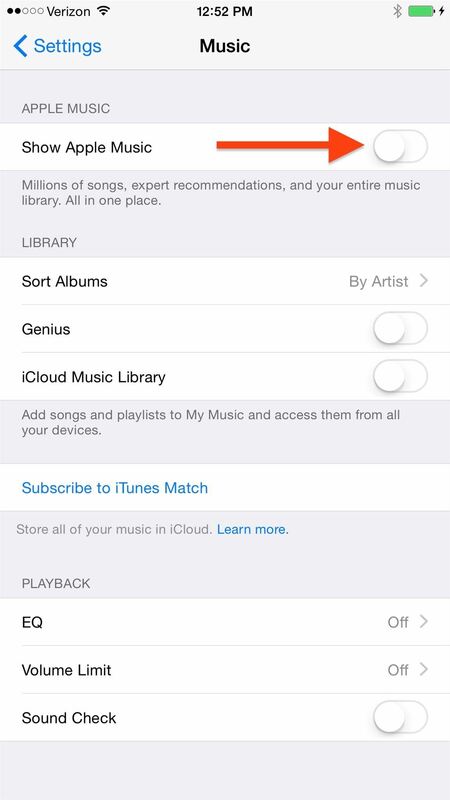 But if you don't plan to use Apple's streaming music service, and don't care to follow artists in your library, you can get rid of both options in the Music app for a better no-clutter experience, one akin to previous versions. Plus, you'll get a new Playlist tab in their place, which will make it more convenient to access the new "All Music" smart playlist that you made to shuffle all songs again (without using Siri). 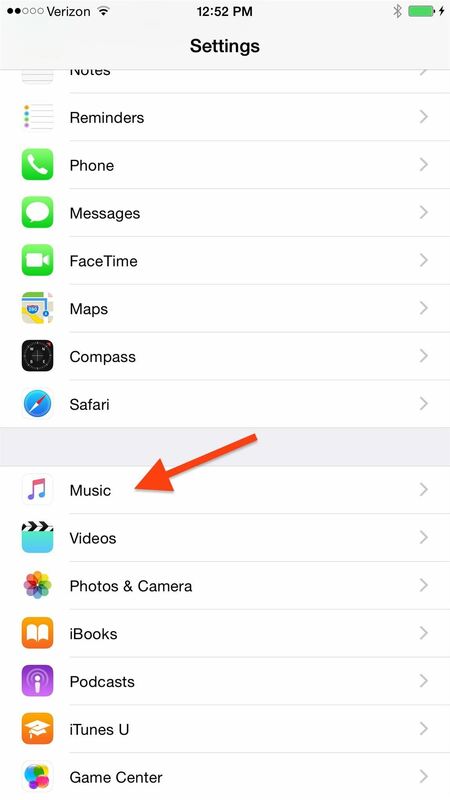 To get rid of the two Apple Music tabs, enter your Settings app, locate the Music preferences, then toggle off Show Apple Music. 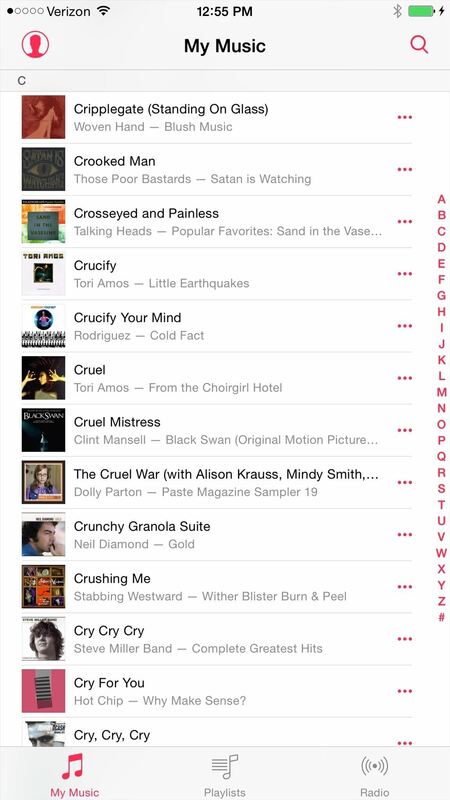 Toggling this off will remove both the New and For You tabs and add the Playlists tab. Connect is another new feature which essentially lets you connect with artists you follow, viewing social media posts and interacting with them through the comments. It's cool, but I won't ever be using it. 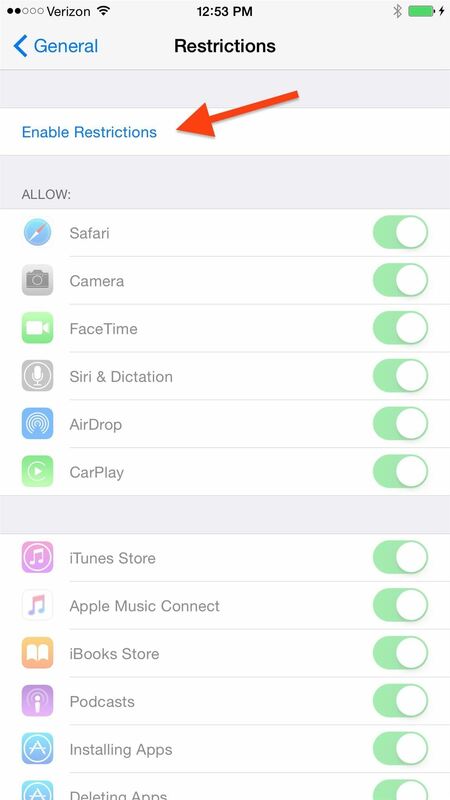 To remove the Connect tab, enter Settings, select General, and then Restrictions. 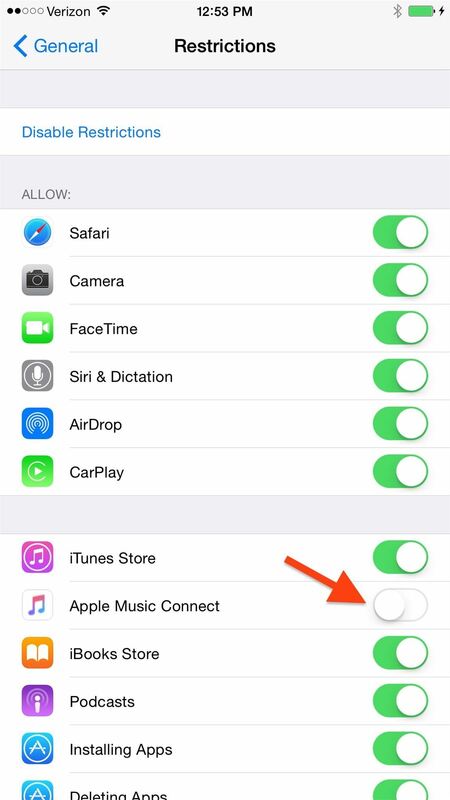 On the Restrictions page, tap "Enable Restrictions" (if not done so already) and toggle off Apple Music Connect. By removing all of the unnecessary Apple Music features, you should have the Music app looking a little more familiar while also letting you access the playlists a lot quicker. If I have the restrictions switched on in order to get rid of the "connect" tab, does this influence the battery capacity in any way? There might be a chance, but it shouldn't be substantial enough for you to take notice.